The mosque has three domes at the top of it and has four pillars at the four corners with traditional ornate. During my visiting of the mosque, I found the door of entrance was locked. It supposes to be open only before the prayer time. At the eastern side of the mosque, there is a tomb exists, but no epigraph over the tomb. It is hard to find anything further about this. Also there is a garden available at eastern side having various kind of seasonal flowering plants. There are plenty of spaces around the mosque. It would allow you to observe the mosque without any obstacle unlike any other old mosques from Dhaka city. Having roads at west and north of the mosque kept it detached from other buildings. The location of Khan Mohammad Mridha mosque is at several hundreds meter west of Lalbagh kella. One could easily go by walking straight from the gate. The Google Map coordinate is (23°43'15.13"N, 90°23'2.71"E). This site should be well kept! Just traveling around and having fun with nature, flowers and birds. Comilla is a much larger district from Bangladesh. This is located almost at the middle portion of the Bangladesh. This district has several Archaeological spots including Moynamoti. Meghna and Gomti are the two main rivers for this district. Comilla is famous for Rosh Malai. There are lot of outlets available around Bangladesh those sell Rosh malai. But best one is available only from Comilla district. Here are the list of top places you must visit when you plan to travel Comilla. 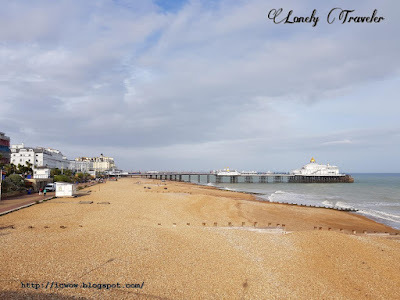 Eastbourne is a nice little seaside town that is located at south of England. The town attracts numerous tourists every year (specially during the summer). The town is having plenty of seaside victorian style hotels where tourists could fit easily. Being next to the Beachy Head and close to the Seven sisters country park a lot of people decide to stay in this town during their visit. 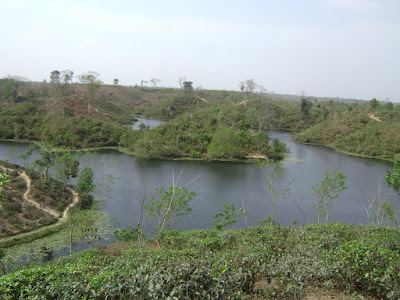 Bangladesh has very few lakes surrounded by small hills. This Madhabpur lake is one of those fews. This is located at Komolganj of Sreemangal in Bangladesh. This lake is inside the Madhabpur tea state garden. This lake is a nice location for day trip to explore the tea gardens and lake. Any enthusiastic person can have a trek around the lake area (but would take plenty of times as it is very lengthy). Being its unique nature (lake, tea gardens, hills) lot of tourists use to visit Madhabpur lake during weekend. India was ruled by the British for nearly 200 years. That time it was known as British India. British were long gone from India, but few of their magnificent works are still there as a trace of that era. One such thing from many of those is the Victoria Memorial Hall, which is located at the heart of Kolkata city (also Calcutta). It was made entirely using marble between 1906 and 1921 to dedicate the Queen Victoria. This memorial hall is located just beside the Gorer math (also Maidan). In current days this Victoria Memorial is museum for the public visiting. Giant's causeway is the most visited and a natural attraction from Northern Ireland. It is located at the county Antrim. This place is developed by the volcanic eruption about 50 millions year back. 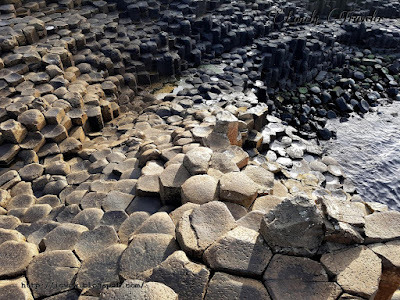 This area is comprises of approximately 40 thousands of basalt hexagonal columns. These hexagonal shapes were formed when the volcanic lava cooled. This kind of natural places are not unique but very rare. That's why lot of people use to travel here.